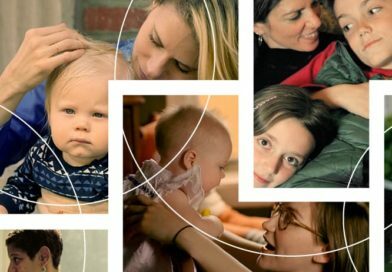 On March 15th, a group of women will gather at 54 Below to present Broadway Baby Mamas, two concerts—one at 9:30pm and one at 11:30pm—featuring working mothers of theatre. The concert stemmed from a mothers’ group, started by Cara Cooper and Jessica Rush, to address the many specific challenges of being a working parent in theatre. We recently spoke with Cara and Jessica, along with Celia Keenan-Bolger, who will be hosting both shows, about the idea behind the concert, what the theatre community can do to make it easier for working parents, and why they feel being visible as working moms is important. This concert stemmed from a Facebook group that you two formed, yes? Jessica: Cara and I had been sharing a dressing room for years together at Jersey Boys as women without children, and then once we had our daughters we realized that it’s really hard to do what we do as a working actor in New York City, and raise a child or children. We thought, “There must be a need for others who want to connect and be in a support group.” And so, we started this private Facebook group called “Broadway Baby Mamas,” and that’s where it came from. What do you think is the biggest challenge about being a working parent in theatre? Jessica: I would say that one of the things is the lack of stability with our schedules a lot of the time. If you’re in a show, you know when you need to be there for your eight shows a week, but the things that come up, like auditions—or, for instance, I’m in rehearsal right now and you can be called from ten to six, but you’re not necessarily called from ten to six every day. So, as a parent, that’s needing to secure childcare, and it can be difficult that you don’t get a schedule until late in the evening. And so, either you pay for a sitter right off the bat all day, assuming you’ll be gone all day, or you take the chance of waiting until the last second so that you’re not putting out more money than you’re making in case you’re only called for certain hours. It never occurred to me how little our schedule was our own in a lot of ways until I was having to negotiate childcare and a life outside of our business. Cara: I think we both experienced this because we were in long-running shows when we had our children. Even the simple fact that the childcare you have to get is in the evening, and day cares don’t run in the evening. You have to hire somebody, possibly a nanny, especially if you have a partner that also works in the industry, which both Jessica and I do. I know a lot of women who work opposite hours as their partners, and in some ways that’s wonderful, and in other ways that’s not because you never get to be together. It creates a really specific challenge with finding someone to care for your child when you’re not around. The options are very limited. Your children are young. Have you found different challenges as they’ve gone from baby to toddler and looking to the future, as you’ve talked to other women about the specific challenges that come with different ages? Cara: When you have an infant, it’s actually kind of wonderful, you get to be home—if you are in a long running show, or if you’re unemployed. The ability to stay home during the day is lovely. I think once your child enters school age, the challenges become infinitely more difficult in that your child spends the entire day away from you and then has after school activities and what not and then [they get home] and you’re on your way to work, and your face time is really limited. Jessica: My husband Eric Anderson is also in the business, and we were both in shows for most of the first three years of Elliot’s life, so the fact that we had the days essentially free to just hang out with her at home and take her places and do things was super special. Now, as she’s starting school, it’s dawning on us that clearly we won’t have that time with her; our day time is our time off, and at night we’ll be gone, and on weekends we won’t see her. Taking whatever time you can with your children before you come to do your shows is a priority and essential and something that is going to be a never-ending challenge. What’s something that you think the theatre industry could do to make it easier for people to have children and also work? Cara: I think that one of the biggest things that Jessica and I and our group have discussed, is our union supporting having children in our industry. New York has made great strides in their Family Leave Act, and that was not in place when both Jessica and I had our children. That’s a national discussion, that’s not just a discussion that pertains to us. But it is really important to be able to support women. You essentially take yourself out of the game when you are pregnant with a child. There are very few things that you can audition for, and it takes you out of work for a much longer time than if you are, say, working at a desk job. That presents a very difficult challenge in accumulating work weeks for health insurance and also having an income for this family that you now need to provide for. Jessica: We have women who have given birth and have not had health insurance because we’re not able to work after a certain point in our pregnancy, and it’s so important to have quality health care. There was a time in our industry, not that long ago, where having a child or children was not even a thought in the mind of most women. It was something where you either quit the business, or you didn’t have children, and so many of us are now choosing to make it work, and doing so, and are beginning these discussions. I think something else to think of would be the possibility of having some sort of space that’s shared childcare. There are companies that have daycare in their building for the people that work there so that their child is close by, they know they’re safe, and it’s open the hours they’re working. I know there’s all kinds of red tape that comes into play, but the possibility of having a space at the theatre where there is a provider and the children could come, even if the actors themselves are taking on some of that cost, the rewards of having your children there would be great. I think the arts are so important for our children in general that it could only benefit the next generation to have them around on a more consistent, regular basis. What was the genesis of the concert? Cara: I think something that has been the essence of Broadway Baby Mamas is that these women are unbelievably supportive of each other. There is zero judgment on this board. There is so much heartfelt compassion when someone is going through something difficult, I think it naturally evolved to a space where these women give back to each other every day and want to give back to the community at large on a daily basis. There are constantly posts about people in need or organizations for Syrian refugees. Jessica: In light of the unspeakable tragedy and loss for Ruthie Ann Miles a couple days ago, we have decided that now the concerts will benefit Ruthie Ann and her family in aiding them as they move through this grief. Just to alleviate some of the worry, in any way we can. And to show our support of her. Everyone is trying to figure out what they can do and how we can help and give love and support to her and her family, and lift each other up because it’s shaken our community and our group of women to their core. Cara: Absolutely. It’s an outpouring of affection and support and love and what can we possibly do. Just trying to find the most practical ways to put our efforts to good use for her, and also the other family that lost a child, the Lew family, they are by proxy a part of the Broadway community so we are holding them up as well. How important, with this group and this concert, is the visibility factor? Women I’ve spoken to have mentioned that it used to be that they felt pressure to not mention their children or have children be part of their work lives at all. Cara: Who would ever say to a man, “You can’t have a child and work in this industry”? The double standard is just outrageous. I don’t think I ever thought, “Oh, if I have a child I’m not going to be able to keep doing it,” and maybe that was naïve of me. But we’re moving forward in this country in a time where equality is so important across the board. Not just with gender, but race and other issues as well. But I can’t imagine a man ever having to question whether or not they could have a child and maintain their career. Jessica: Right, they wouldn’t. And it does not affect them as greatly in the immediacy of what’s happening. Right now, I’m in rehearsal, and a guy’s wife just had a baby and they let him out yesterday and today from two days of rehearsal, but he’s coming back tomorrow. They’re able to sort of move forward, their bodies haven’t changed, a lot of things haven’t changed, So, no one would ever ask a man not to do that or tell them that that would ruin their career. My immediate thought when you asked that question was to think back to all the times Cara and I were pumping in the dressing room because we were still nursing and doing the show and making it all happen. Gone are the days where you have to stop performing and give up your career. We are making it work, and even if people aren’t helping us in the best of ways to make it work or they’re not giving us all the tools, we’re figuring the tools out ourselves and we’re making it happen. Because we refuse to have it be the end of things. Cara: It just comes right around to why this group exists to begin with. The challenges are great. 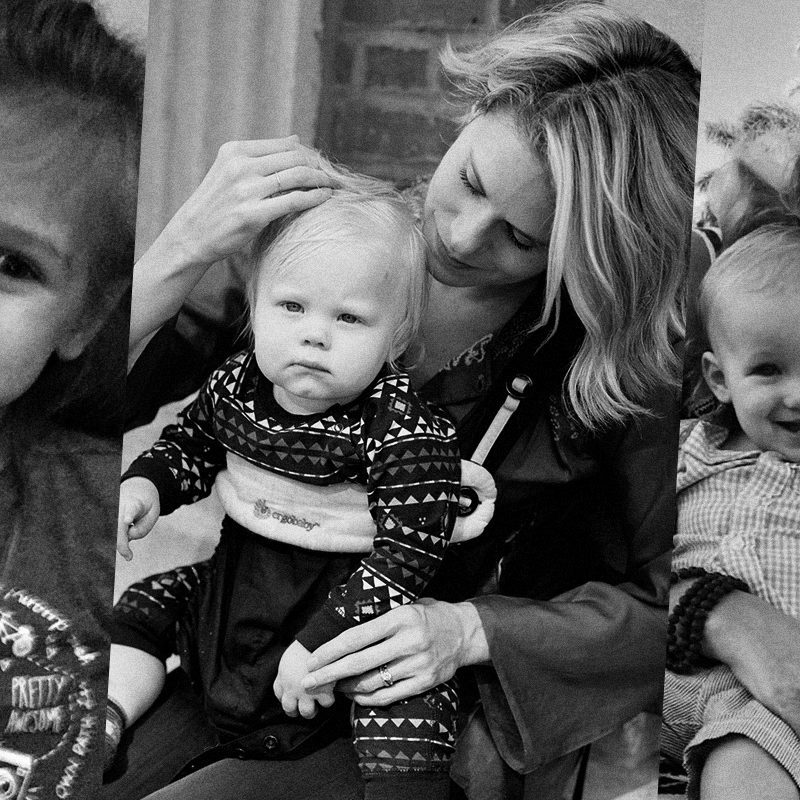 Motherhood presents challenges for anyone—it is not easy—but keeping up a career in the arts is particularly difficult and, you know, there are so many issues that come up. At the end of the day, isn’t it about the bigger picture of supporting community? Jessica: The family of theatre. Theatre is family. You have a family on every show you do. You become so close; how can you not? I think the inclusion of the working parents and the inclusion of our children is only beneficial to everyone in the long run. It’s only helpful for the people now and for the generations to come. How did you get involved with the concert? Celia: I, like a lot of people involved in this concert, was invited to this Facebook group that was called Broadway Baby Mamas. I had joined two other groups when William was first born. In a great way, these mom groups online are safe spaces for women to go through whatever they’re going through in motherhood. I did find that—this is a generalization— groups that I was a part of had a lot of energy spent on how terrible everybody’s husband was, and how much there was a relief of not having to be at work. In both of those ways, I was like, “These are not my people.” The things that I was struggling with were like, can I pump on a movie or a television set, or can I bring my child to rehearsal, and little things like that. This [Broadway Baby Mamas group] is so positive and helpful in all kinds of ways—emotionally and logistically. When they floated this idea of doing a concert and raising money for a cause, I felt like I would so love to be a part of that. Then with what happened to Ruthie, and the fact that she is an active participant in this group, and also how much all of us felt completely decimated by what happened to her a couple of days ago, the timing just feels really fortuitous. We talked about this over the summer, but what do you find to be the most challenging thing about working in theatre and being a parent, and do you feel that that has changed and evolved as William has gotten older? Celia: I do. I think the hardest thing for me at first was realizing how much I love being an actor, and how terrible that made me feel as a mother. I think on some level, I expected that when I had a baby, my career and my hunger to work would sort of fall away a little bit because it would be replaced by this other incredible thing. When that didn’t happen, and, in fact, when I missed working in the first three months that William was born, it made me feel like a terrible person. I think everybody’s experience is different in motherhood, and I really have no judgment for however anybody feels, but I didn’t hear a lot of voices before I had William saying, “It might be really hard, you might really miss work.” The thing I heard more was, “It’s the greatest, you have so much perspective, you may never want to work again.” I really felt bad when I didn’t feel that way. Now, I feel that a lot less, but I do feel the stress of never quite being good enough in any position. When I’m at work, I can’t be 100% present, and when I’m home if I am also working, it’s hard to be 100% present, and I’m still sort of making peace with that and understanding that that’s the way that my life is now. We talked about this a little before, too, but what are practical things that you think the theatre community could do to make it easier for parents? Celia: Childcare. Right now, if you are working a contract, so much of the money that you’re making is going towards childcare. I think any sort of family leave [would be helpful]. I think New York state actually is ahead of the game on this, but allowing the parent that wants to, to takethe time off and still have a salary, would be enormously helpful. Our whole insurance [system] is based on how many weeks we work. As a woman in the theatre, if you’re pregnant, the number of jobs that are available to you decreases significantly, which means that you’re not able to work, and you’re not able to get your health insurance weeks, which is the most important thing you can have while you’re trying to bring a baby into the world. There are a lot of components of it that I think are real works in progress. I think representation on the other side of the table, of having women in positions of power would help. The directors who are men and who are parents are certainly more understanding than not. It feels to me, sometimes, like the expectation is that you made this decision, make it work. I think we’re coming into a place where that’s not good enough, that without the support that we need, making it work can be such a toll that we end up losing really incredible people from the business because it’s too hard to make all of it work. I don’t want that to be a reality. With doing this concert and being part of the group, do you find that the visibility of being out there as a person with a child is important to progress in that way? Celia: 100%. I also feel like it’s a fine line, too, because I can imagine being on the other side of this and being like, “I made a decision not to have a baby, so why is all of this attention going into a place where it doesn’t necessarily represent me, or this isn’t the choice I made.” I do think I can acknowledge that we made this decision, and so however hard it is, we signed up for that. What I didn’t realize before I’d had a child was how much it helps to have a little tribe of people supporting you and going through something similar to you, so that you feel a little more empowered and a little less alone, and a little less deficient in all parts of your life. I think a concert like this brings the visibility and it only puts good out into the world.